Amidship websites are specially made for your service business. Simply edit your website and launch - no design or coding skills necessary. Amidship websites are easy-to-use and take only minutes to update. 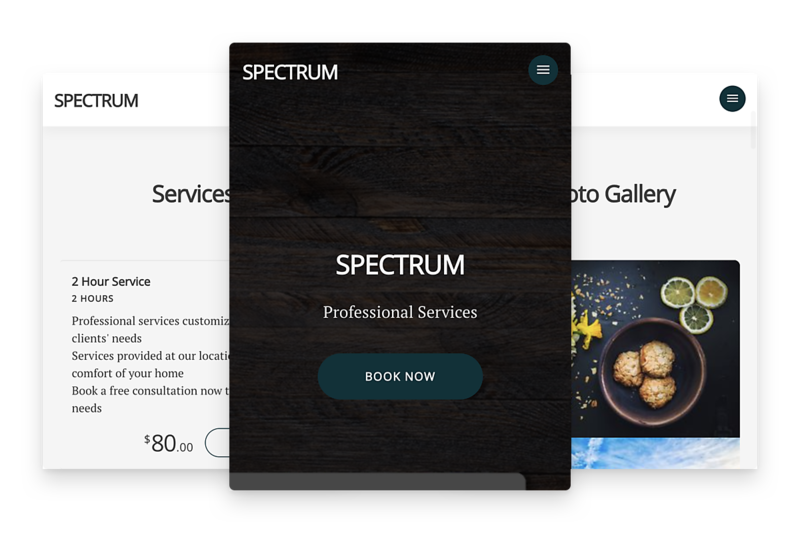 Plus, they are built to look great on any device so your clients will always enjoy visiting your website. All our websites are search engine optimized. 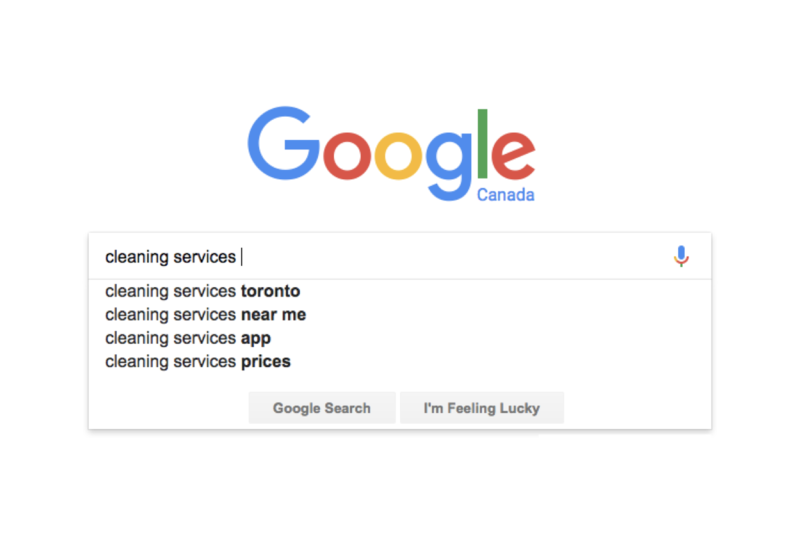 This helps more clients find you when they search for your services online. 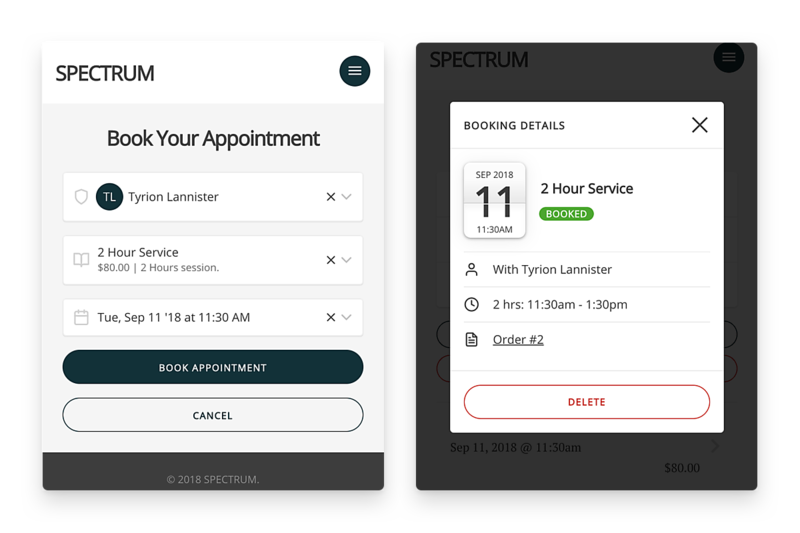 Save both you and your clients time. 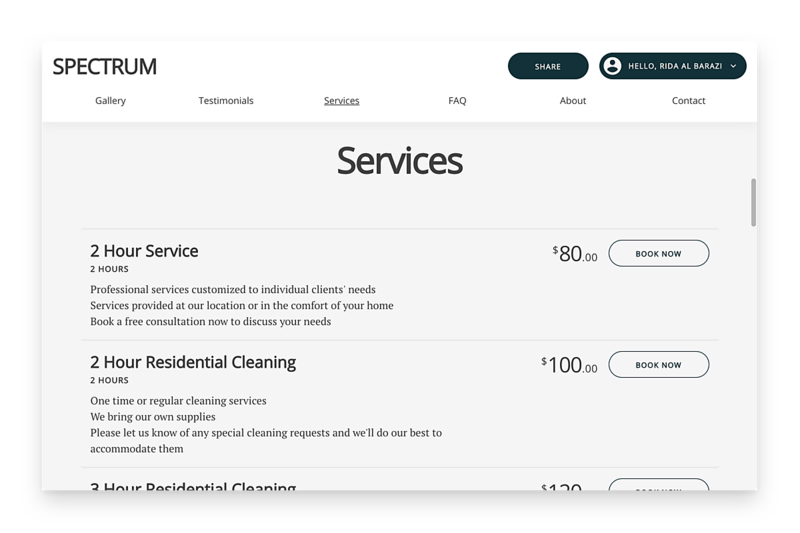 Display your services, pricing, and answers to frequently asked questions on your website. Accept bookings online anytime - even while you’re working. Amidship websites come with an online booking tool for added convenience. 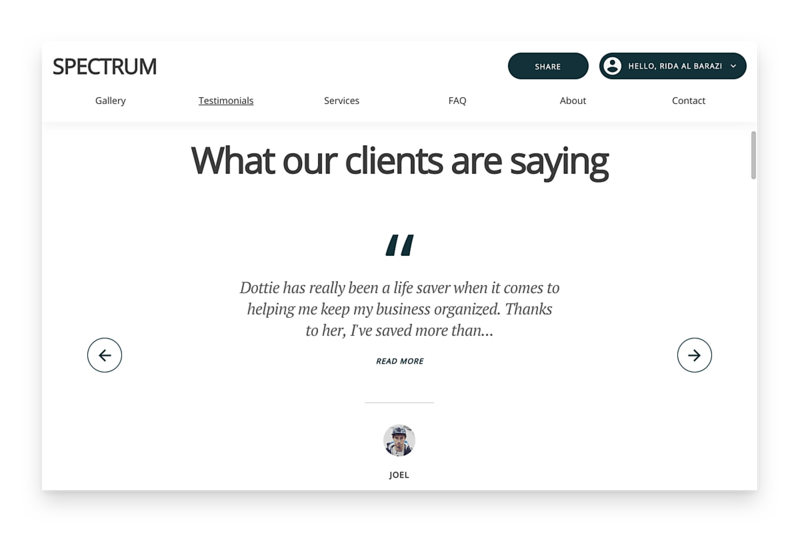 Gain trust using real testimonials. Amidship helps you collect client reviews after each appointment and publish them in a few clicks!